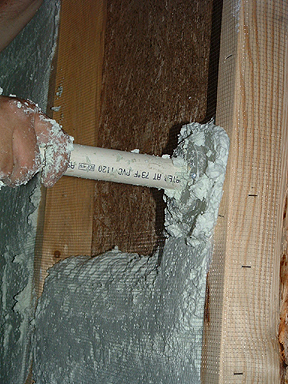 Insulation is the most effective and under-valued energy conservation measure in American homes. Even most new homes are built with far too little insulation. Air sealing is also an important energy-conservation measure that should be addressed at the same time as insulation. Air leakage and convection can affect the thermal resistance of insulation by carrying heat around the insulation. Air sealing is also closely related to ventilation, since either air leakage or a mechanical ventilation system must provide fresh air for the living areas. These issues make insulation and air-sealing complex energy topics.